Described as ‘cultural crossroads’ or ‘mosaic’, ‘powder keg’, ‘border’, ‘bridge’ or Europe’s ‘Other’, the region comprising former Yugoslavia has, over time, conjured up ambiguous imaginaries associated with political unrest, national contest and ethnic divide. Since the disintegration of Yugoslavia and the succeeding Yugoslav Wars of the 1990s, both the geography and historiography of the region have been thoroughly reconfigured, which has impacted the ways in which heritage is interpreted and used at local, regional and national levels. In this ongoing process of heritage (re)interpretation, tourism is more than just a ‘dark’ spectacle. While it can be seen as a catalyst through which to filter or normalise dissonant memories, it can also be utilised as a powerful ideological tool which enables the narrative reinvention of contested traditions and divisive myths. 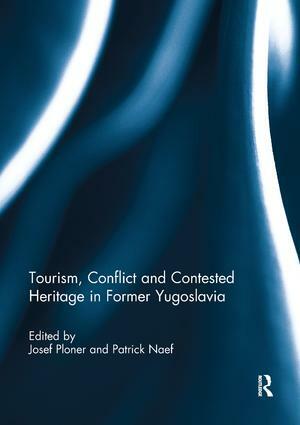 Drawing on case studies from Bosnia-Herzegovina, Croatia and Kosovo, this volume generates new and fascinating insights into the contested terrain of heritage tourism in former Yugoslavia. It explores the manifold ways in which tourism stakeholders engage with, capitalise on, and make sense of sites and events marked by conflict and trauma. Unlike many previous studies, this book features contributions by emerging, early-career scholars emanating from within the region, and working across disciplines such as anthropology, art history, geography and political studies. This book was originally published as a special issue of the Journal of Tourism and Cultural Change. Cross-community tourism in Bosnia and Herzegovina: a path to reconciliation?